The UO Applied Information Management Program will celebrate its 30th anniversary this fall with a gala in Portland on Nov. 5. 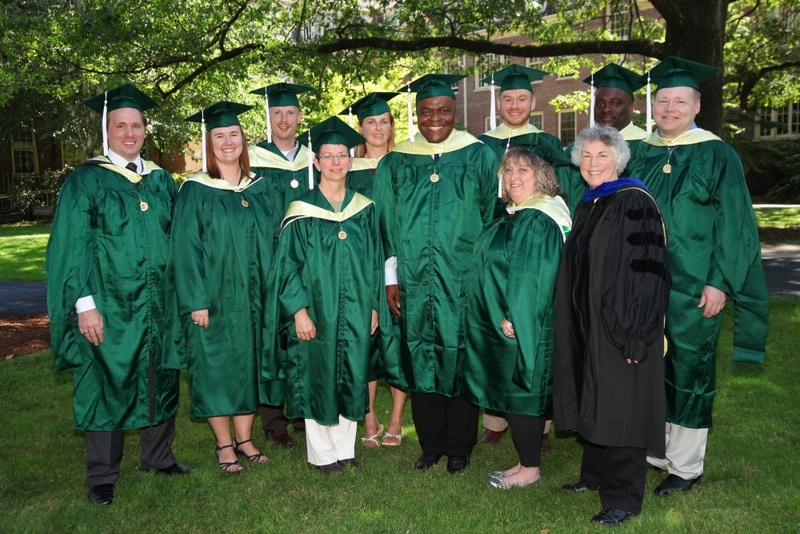 The online master’s degree program launched in 1986 as a result of meetings between cofounders Linda Ettinger and Curt Lind and technology pioneer Tektronix, Inc., which needed employees with advanced degrees in information management. Over the decades the program transitioned from face-to-face to fully online courses while preserving the academic integrity of the program by continuing to attract faculty hailing from industry leaders such as The Gartner Group, Xerox and Zoom+. Their industry experience helped shape the curriculum and enrich student experience. Most students are mid-career working professionals who study part time and apply their studies in their current jobs. That immediacy benefits both the students and their employers, and it’s no accident that information management students and graduates experience a high rate of promotion within their fields — 69 percent during the program or shortly after commencement, according to a 2015 survey. The Applied Information Management Advisory Board, new in 2016, oversees the program and provides input into the curriculum to ensure the program continues to arm graduates with skills that are in high demand in industry. Advisors include the chief information officers and vice presidents of Mentor Graphics, The Standard, Legacy Health, SecureWorld and Multnomah County. Join current and prospective students, staff, faculty, the program’s board and other honored guests to celebrate first 30 with a gala in the White Stag Block in Portland on Nov. 5. Event details are available at http://aim.uoregon.edu/news/articles/aim_30_year_anniversary.php.